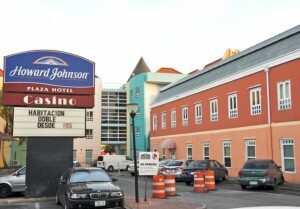 WILLEMSTAD - The highest bidder on the property and the associated leasehold rights of the former Howard Johnson Hotel in Otrobanda, will also have to pay the overdue land and real property tax and lease payments from the previous owner. Worth 1. 2 million guilders. This can be deduced from the concept memorandum of the settlement of Moerdijk & Palm Notary which is responsible for the auction. The Howard Johnson Hotel owned by Emmazicht was reportedly auctioned because of a long outstanding mortgage debt. However, these rumors are not confirmed in the memorandum. However, there is a post of 542,187 guilders in arrears of land tax and real estate taxes and another 633,270 guilders of overdue lease payments.